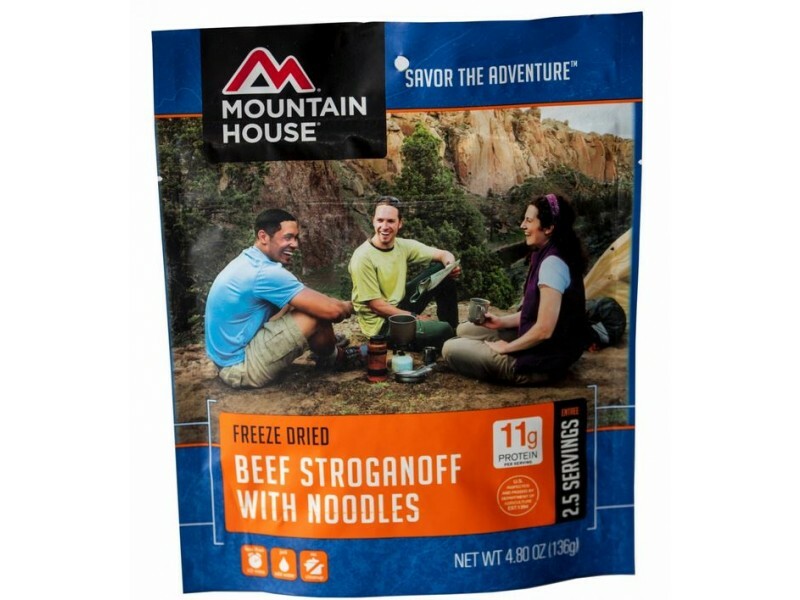 Mountain House chooses the ingredients for their Beef Stroganoff with noodles very carefully to ensure it would taste great, and also last a long time on the shelf. They were very successful at both of these goals. The rich, creamy taste is loved by almost everyone who tries it, and the fact that it will last for 10+ years on the shelf makes it an extremely convenient meal. 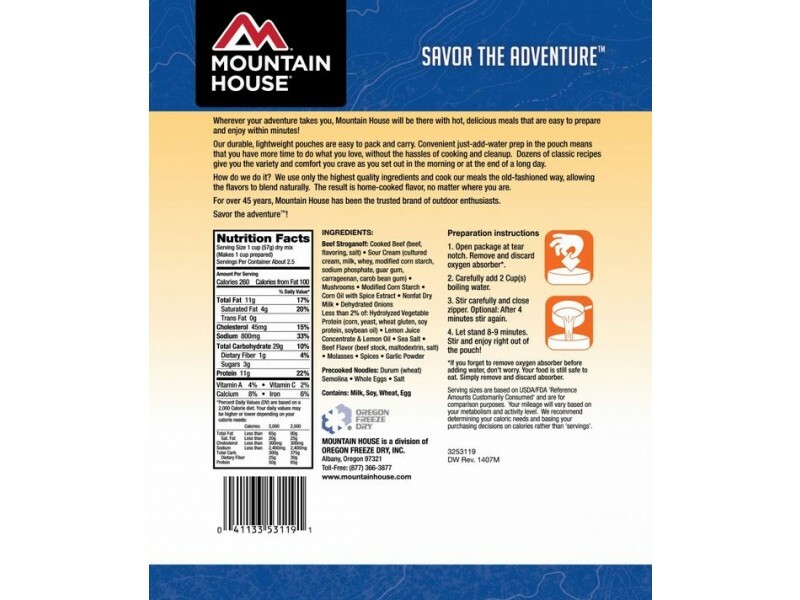 Each serving provides you with 10 grams of protein, 250 calories and a variety of different vitamins and minerals to keep you strong and healthy. 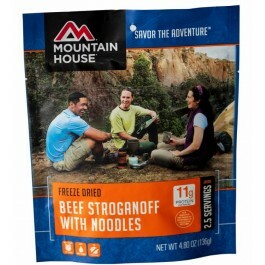 Foods like this, which were designed to be there in the event of an emergency, are a great item to have in the home. Whether you’re preparing for a weather emergency, or a global economic meltdown, you’ll have all the food you need to get through any situation. When you are ready to enjoy this meal, just rip open the pouch and add in the required amount of hot water. It cooks right in the pouch, and can be served in just minutes. This is one of the most convenient ways to get the food you need, no matter what is going on around you. Order yours today so you’re ready for anything. 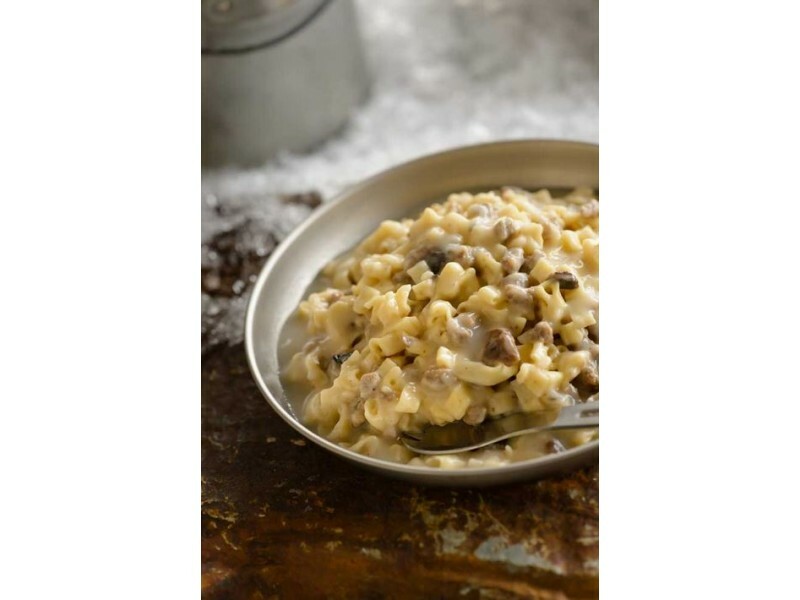 INGREDIENTS: Beef Stroganoff: Cooked Beef (beef flavoring, salt), Sour Cream (cultured cream, milk, whey, modified corn starch, sodium phosphate, guar gum, carrageenan, and carob bean gum), Mushrooms, Modified Corn Starch, Corn Oil, Nonfat Dry Milk, Dehydrated Onions, and Contains 2% or Less of Hydrolyzed Vegetable Protein (corn, torula, brewers yeast, wheat gluten, soy), Lemon Juice Concentrate and Lemon Oil, Beef Base (roasted beef and concentrated beef stock, salt, hydrolyzed protein [corn gluten, soy, corn, wheat], sugar, dried whey, onion powder, yeast extract), Sea Salt, Molasses, Spices, Garlic Powder, Soybean Oil, and Spice Extracts. Precooked Noodles: Durum Wheat Semolina, Whole Eggs, and Salt. CONTAINS: Milk, Wheat, Soy, Egg.